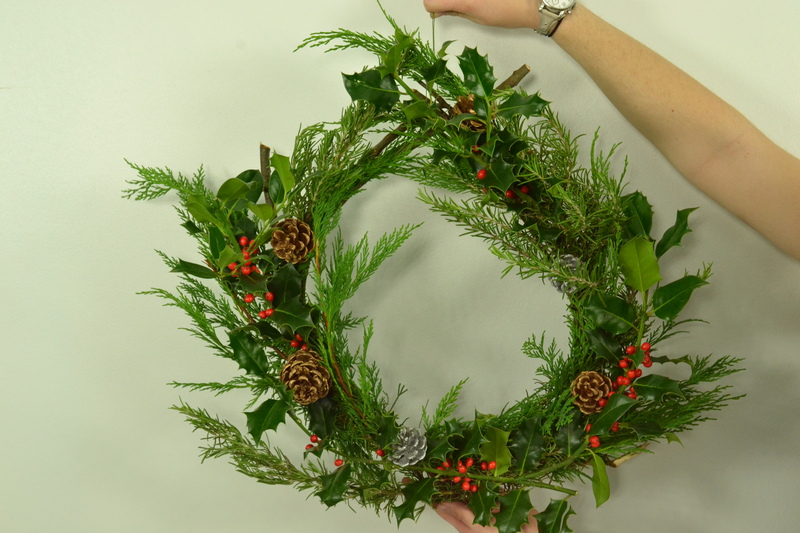 Turn your front door into a festive gateway this Christmas with a homemade outdoor wreath. A homemade Christmas wreath will sit pretty on your front door and help your home look extra festive. In recent years we’ve seen the rise of Christmas wreaths in all patterns and materials, as well as more traditional designs. Our step-by-step tutorial will guide you through how to make a classic festive wreath that will transform your front door into a warm and welcoming entrance for Santa Claus. So if you’re feeling green fingered this Yuletide, follow our six step guide and add a festive touch to the outside of your home. Merry Christmas! 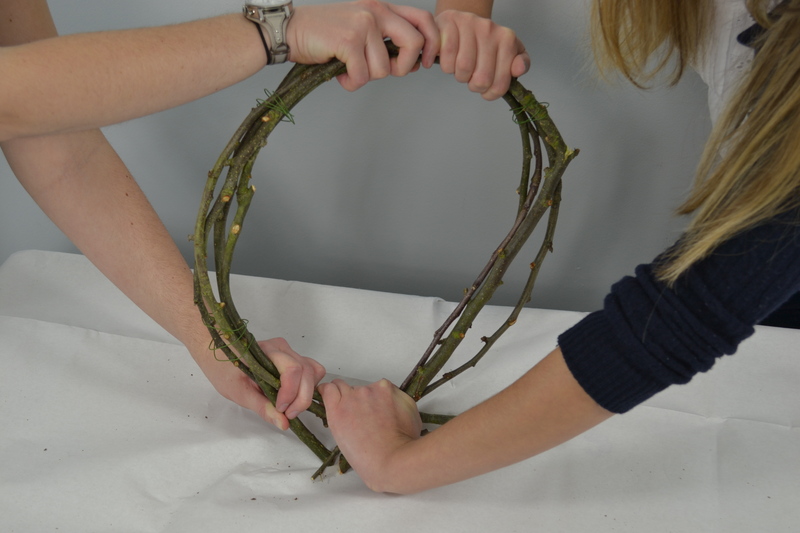 Carefully twist your twigs around each other and bend into a circle. It's important that you do this slowly, gradually bending your twigs as you go, to avoid them breaking. You may find an extra pair of hands useful to hold the circle in place as you perform step 2. 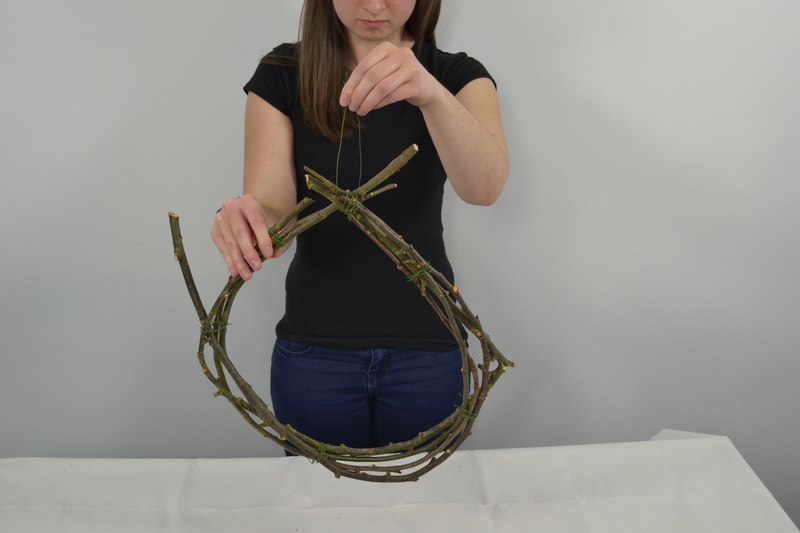 Wrap loops of floristry wire around your twigs to secure them in place. Position the wire at regular intervals to keep the twigs together and twist it round tightly. This step is vital to ensuring your wreath maintains its shape. Loop some extra wire at the top of the wreath to hang it up with. You can also use string or a festive ribbon if you prefer. It's easier to perform this step now rather than at the end when you've added all of your greenery. Arrange your evergreen foliage in amongst the Birch twigs. Start off with a base layer of evergreens that roughly cover the wreath. Secure them into place either by sticking the stalks into the twigs or securing with more floristry wire if necessary. Build up until you have the desired effect. Add decoration to your wreath using pinecones and sprigs of holly. Alternatively, you can use rosehips, berries, ribbon or whatever takes your fancy! Simply push the stalks into the twigs, or use more floristry wire to secure your decorations. You can always add more foliage and decoration after you've placed your wreath on your door. Feel free to take pieces out and replace them with fresh greenery as and when you feel you need to.